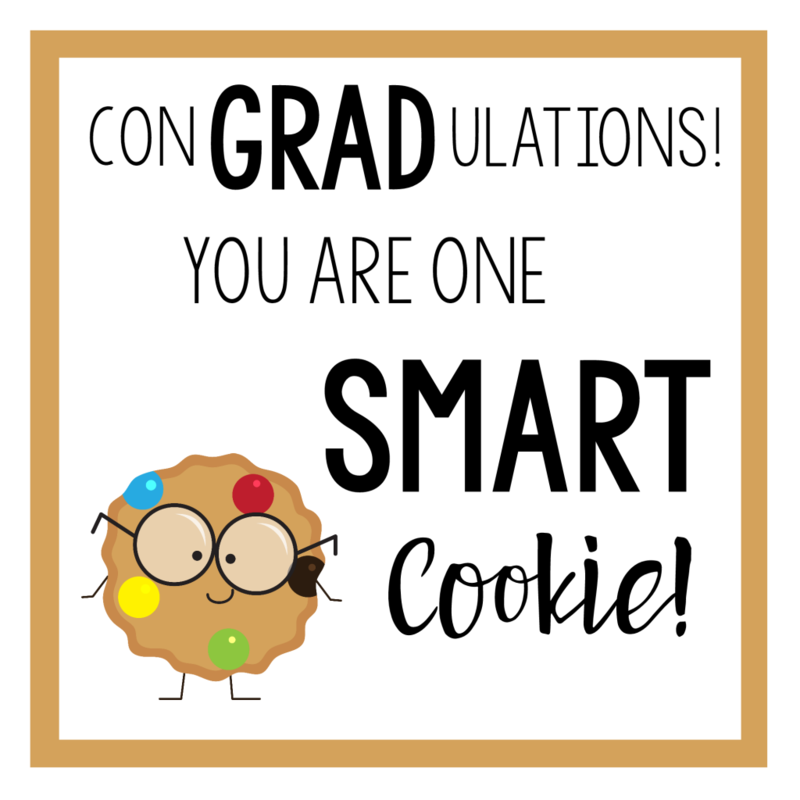 A Peek at the Fun: Need a little something to tell your kids that you are proud of them on the last day of school? 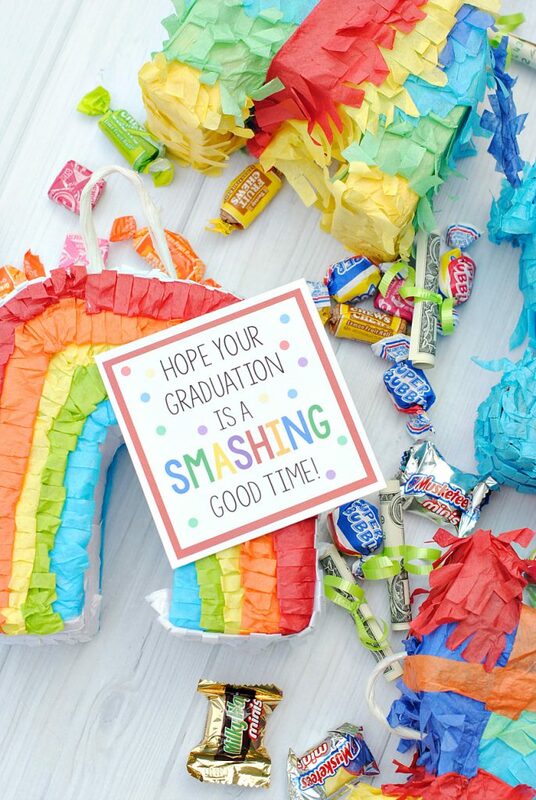 This is a simple end of the school year gift for kids and also a fun version for grads. 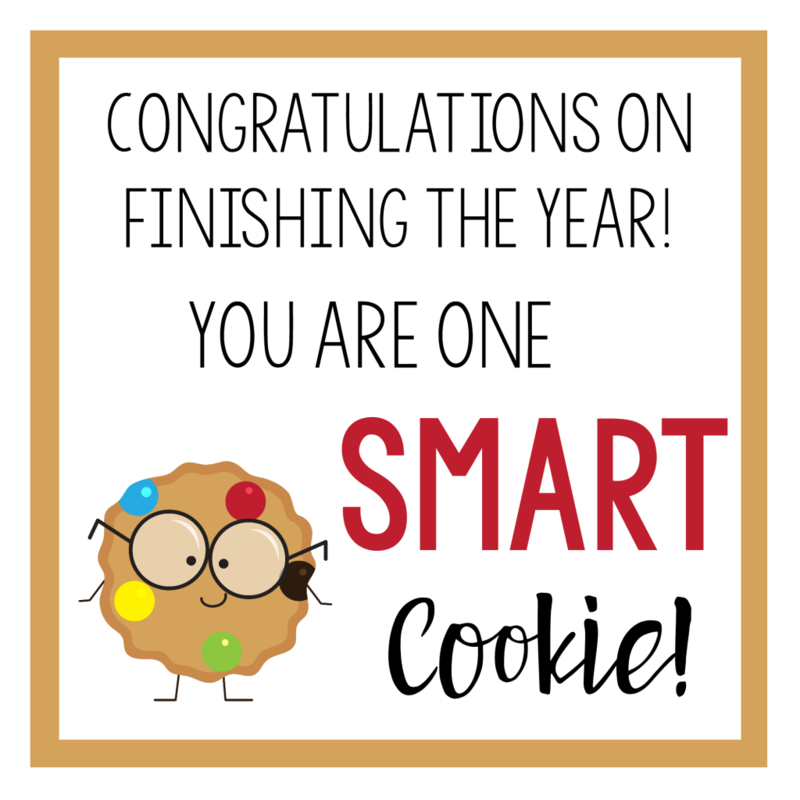 You are one smart cookie gift! The end of the school year is so fun. 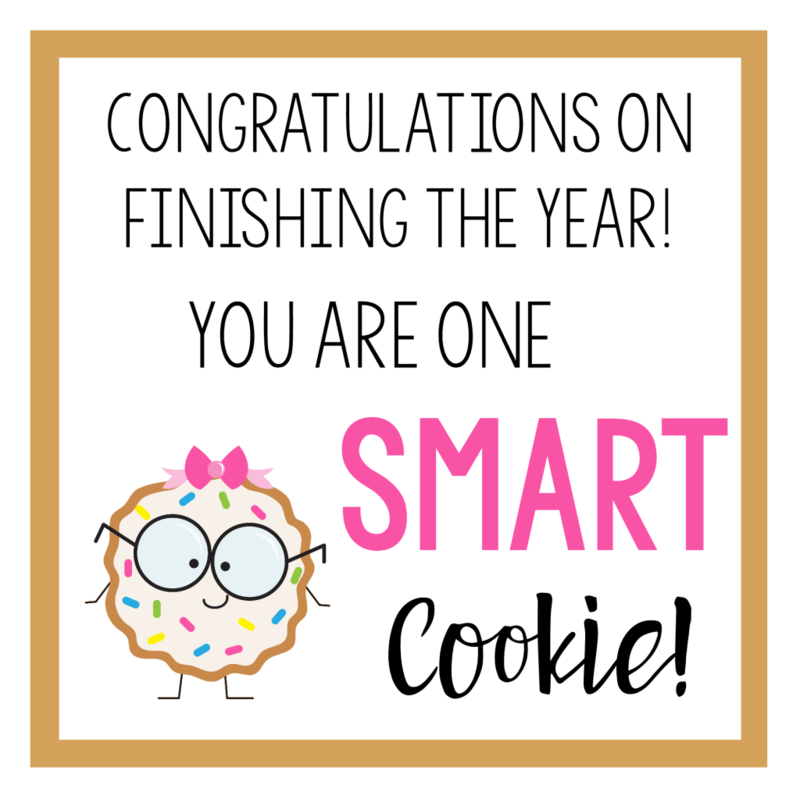 There is an excitement in the air because the kiddos are so happy to be done with school. 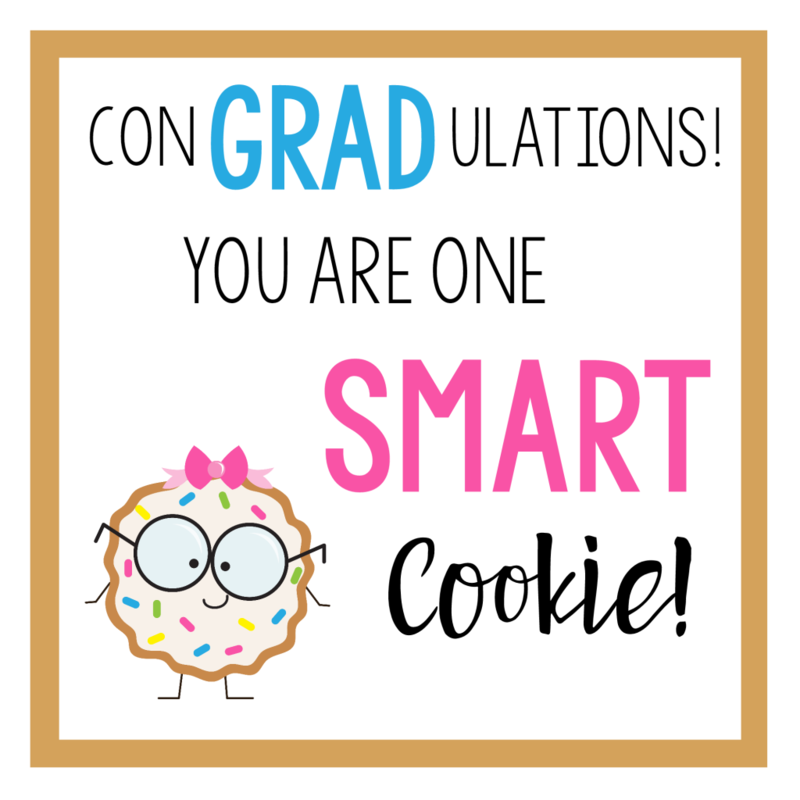 It’s fun to recognize the kids for another great year of school or recognize a graduate for accomplishing such an amazing task. 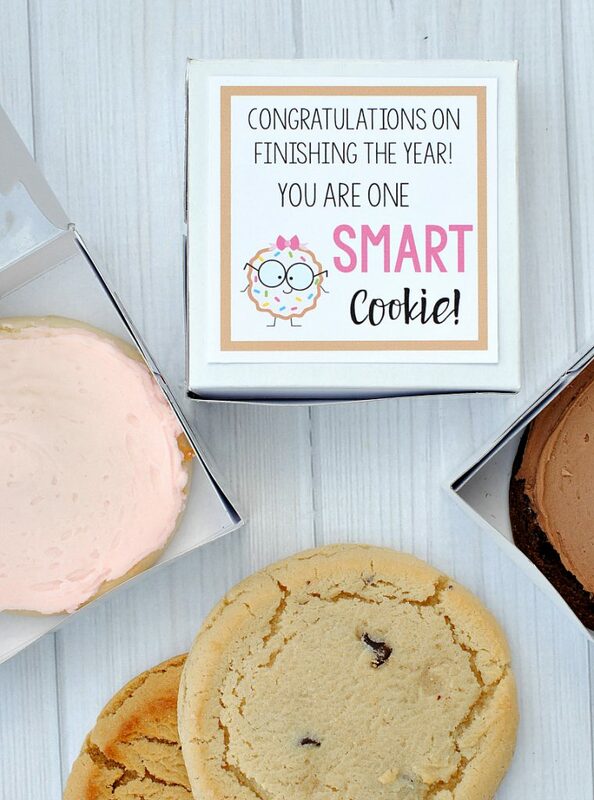 This “Smart Cookie” gift idea is just what this time of year calls for…fun, goofy, and yummy! 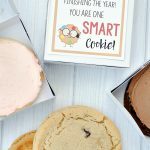 Perfect end of the school year gifts for kids and grads. We found the boxes at Hobby Lobby but they can be found at any craft store. 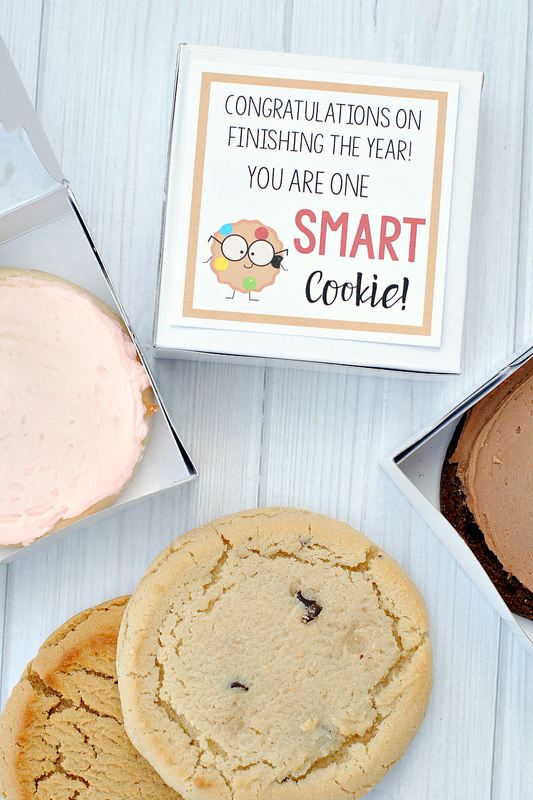 They are the perfect to fit your cookie and the tags are sized to fit on the lid. 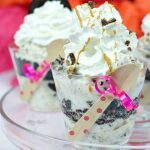 What a fun surprise for your kiddos to come home to! 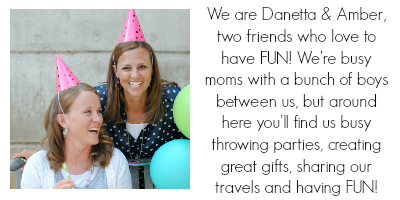 Notice our two versions of tags…one boy, one girl! 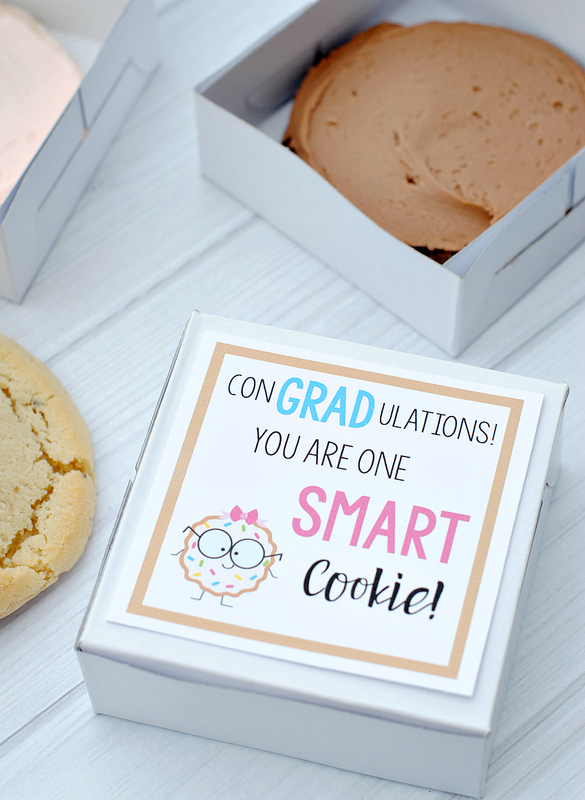 Put the cookie in a box or bag and add a cute tag. To use these tags just right click and save to your computer. Then open in a program like Word and Pages and size it how you want and print. Or we have a PDF file ready for you to print with several on it already. That’s it! 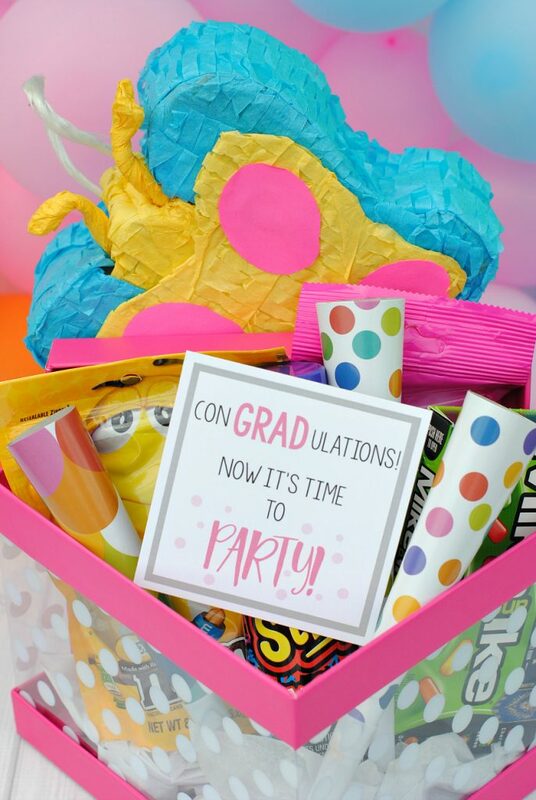 You’re all set with a very simple and fun gift for the kids or your grad! 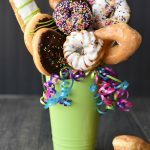 Have FUN giving these end of the school year gifts.